Arkansas Ear, Nose, Throat, and Allergy with the Center for Hearing & Balance believes that open communication and patient education are vital components of helping patients manage their medical conditions and lead a healthy lifestyle. Therefore, we have made available online our patient brochures that describe the most common ear, nose, and throat medical conditions and procedures. If you have any questions regarding any of the information, please discuss them with your physician at your next appointment. ◦ What is an Ear, Nose and Throat Specialist? ◦ Is My Baby’s Hearing Normal? ◦ What causes the noise in my ears? 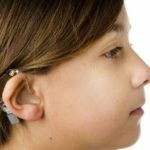 ◦ What is a Cochlear Implant? ◦ What is Bell’s Palsy? ◦ What is the TMJ? ◦ Why Do We Fall? ◦ SINUS: Pain, Pressure, Drainage? ◦ Salivary Glands – What’s Normal? What’s Abnormal? ◦ What is your thyroid gland? ◦ Choking Prevention: What Can I Do to Keep My Child from Choking?